Hydraulic load cells are mainly used in static applications. The increased force time (referred to the rated load) should remain constant for at least 1 second. 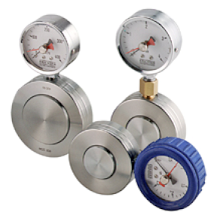 Continuous rapid changes in force may destroy the pressure gauge. It can however be protected against shock loads arising when the load is applied or removed by means of appropriate throttles. 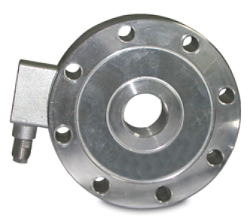 All load cells are made of stainless steel. Instrument for force measurement in connection with DMS force transducers, including integrated mains supply. These force measuring devices are suitable for universal applications, namely wherever tensile and pressure forces need to be measured with a high degree of accuracy, e.g. in materials testing (Erichsen Tensile Testing Machines UNIMAT® and UNIMAT® + UNICONTROL ®), in reference measuring equipment and in research and development. For industrial purposes too, these force transducers are ideal in the fields of automation, controlling press-in processes and in jointing technology. An extensive accessories program is available. A connection to the Measuring and Display Instruments 975 AP, 980 AP and PHYSIMETER 906 MC is also possible by means of an adapter plug. 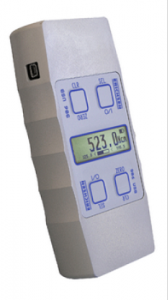 Measuring range 5kN to 1000kN available. We recommend our serie UNIMAT® BASIC 054 testing machines for testing either hard and tough or soft specimens. These tensile testing machines are equipped with two columns and two recirculating ball screws which guide the travelling cross-arm. The upper fixed cross-arm and the base plate in conjunction with the travelling cross-arm between the two from two separate working areas. Available in 10 kN and 20kN ranges. 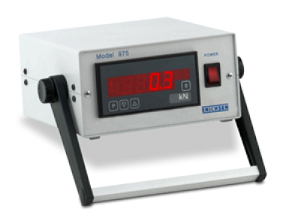 We recommend our serie UNIMAT® PLUS 052 testing machines for testing either hard and tough or soft specimens. These tensile testing machines are equipped with two columns and two recirculating ball screws which guide the travelling cross-arm. The upper fixed cross-arm and the base plate in conjunction with the travelling cross-arm between the two from two separate working areas. Range 5kN.